Product categories of Road Marking Reflective Glass Beads, we are specialized manufacturers from China, Thermoplastic Road Marking Reflective Glass Beads, Traffic Paint Reflective Glass Micro beads suppliers/factory, wholesale high-quality products of Reflective Road Marking Spherical Glass Beads R & D and manufacturing, we have the perfect after-sales service and technical support. Look forward to your cooperation! Road marking Reflective Micro Glass Beads, clean , transparent beads, used in road marking thermolastic paint and traffic signs to reflect light back to the driver in darkness or poor weather conditions,improving road safety and visibility. The reflective glass beads play a very important role in the road safety. 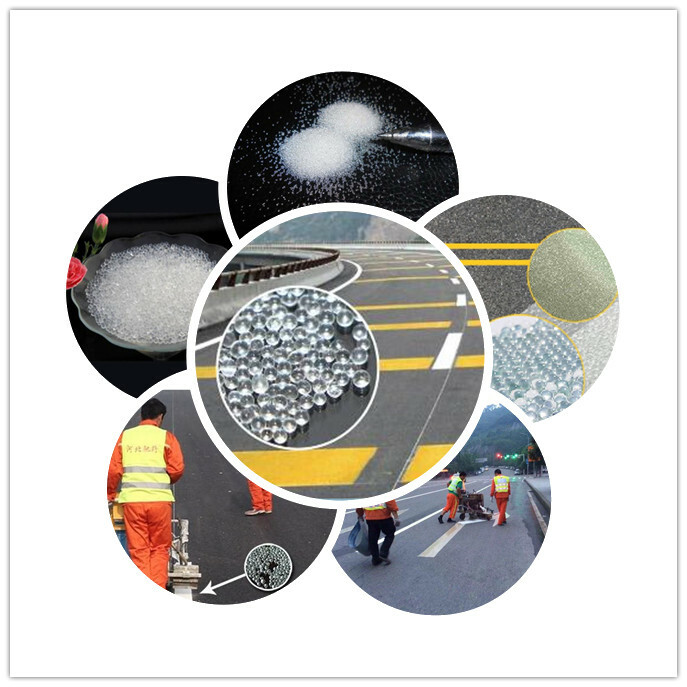 Reflective Glass microspheres / Glass beads for Road marking,as a necessary material for road marking, are mainly used for road mark lines and traffic signs. It is usually classified as bellows according to its usages. II. Drop on microspheres, drop on glass beads. We supply Reflective Glass microspheres standards in BS6088 A, BS6088 B; AASHTO M247; EN 1423/1424; AS2009-B/C, KSL2521, and also in different single sizes or mixed according to customers` demands.